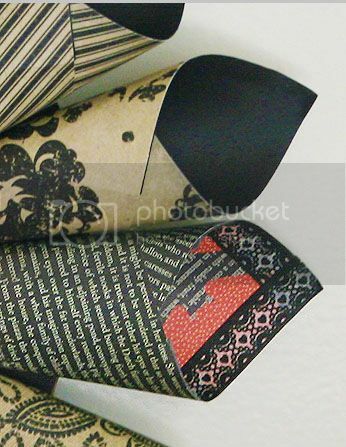 Be sure to check out my Authentique/Love My Tapes blog hop post here, I'm doing another giveaway, this time for some fab washi tape, and you could win a prize package from Love My Tapes too!!! 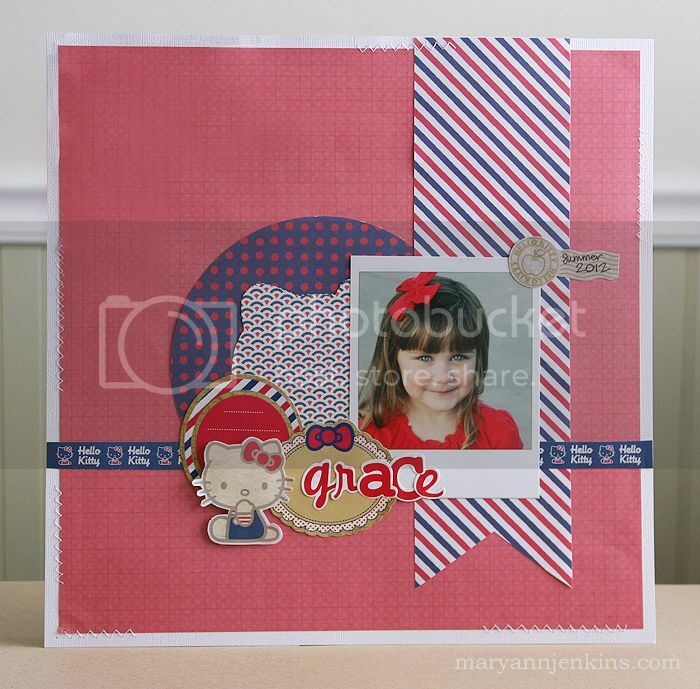 OMGosh...what an adorable Hello Kitty layout! My eldest daughter was big into Hello Kitty! What fun supplies! 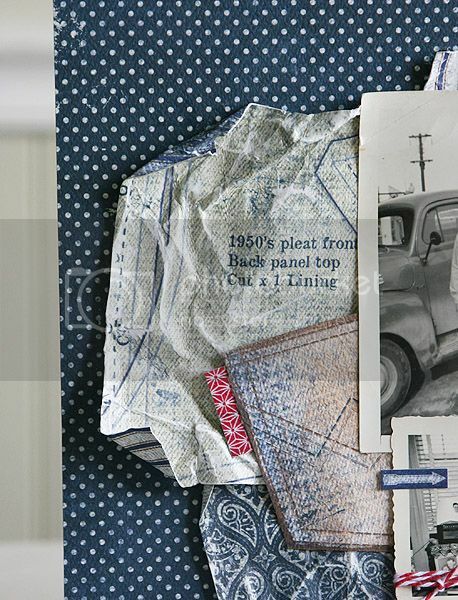 Love My Tapes and Authentique Paper are getting crafty over the next couple of days to bring you tons of inspiration using Love My Tapes and Authentique paper, and the LMT Design Team will be sharing their projects with a Fall Blog Hop! Here's a layout I made using the "Original Collection"
I added a little piece of washi next to the pocket to look like a Levi tag! 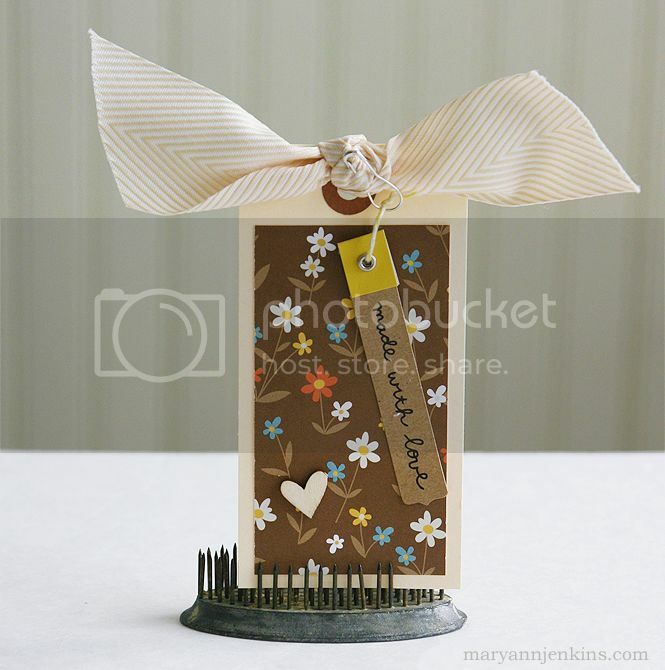 Be sure to stop by all these great blogs and leave a comment for a chance to win some Love My Tape goodies. I'm also doing my own giveaway for some washi tape!! Just become a follower of my blog, and leave a comment for your chance to win! Also, stop by the Authentique Paper blog to find out what the talented members of their Design Team have in store for you today! 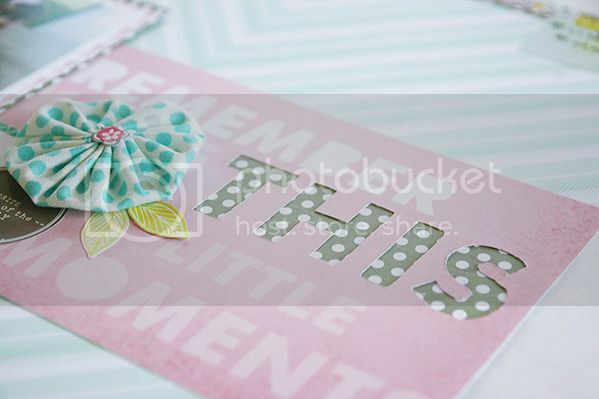 Be sure to check out the darling papers, embellishments and can you believe there is even Hello Kitty washi tape!! All available at Michaels! The very best part though...Hello Kitty is giving away this awesome prize pack to one of my blog readers! To play along, just leave a comment and your email address. I'll draw a winner Wednesday evening! I've been seeing these really cute wreaths made out of patterned paper, and wanted to make one too. 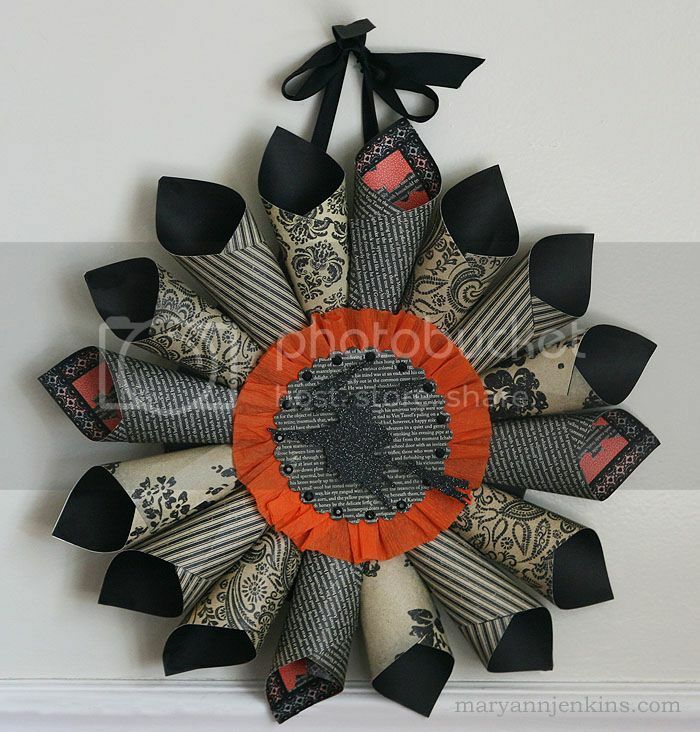 I started with the design I would use in the center, finished it, set it aside and went on to the actual wreath part. I had everything all ready to put together and realized the orange in my papers did not go with the orange crepe paper in the center piece. Now what? Washi to the rescue!!! All in all, for being the first wreath I've made, it turned out pretty cute! I may even try making another one at Christmas time. Hello friends! 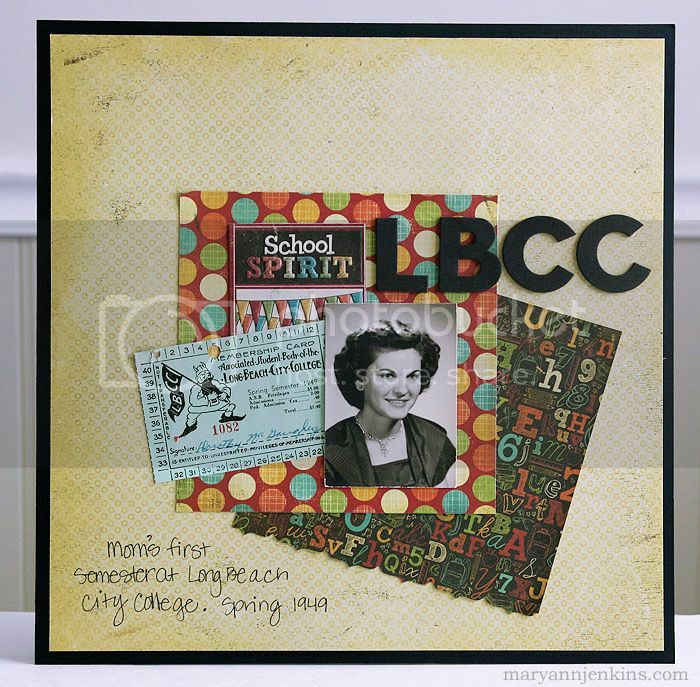 I have another layout to share using some of my favorite Dear Lizzy 5th & Frolic, and a bit of Amy Tangerine's collection too, all from the Paper Bakery's October kit. 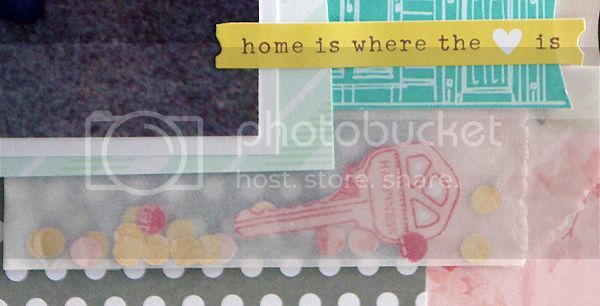 The best thing about this layout, the triangle, square and rectangle that make up the house, and the word HOME were scraps from another layout. They had all been pushed aside, and as I was cleaning up my work area I saw that they had all come together to make this cute little house! With another small scrap to top off the chimney, my layout was practically complete!! As always, thanks for stopping by!! 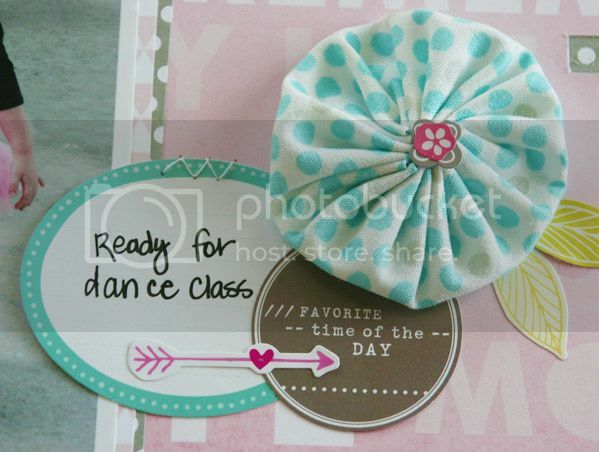 I've got this cute little treat jar up on the Love My Tapes blog today! 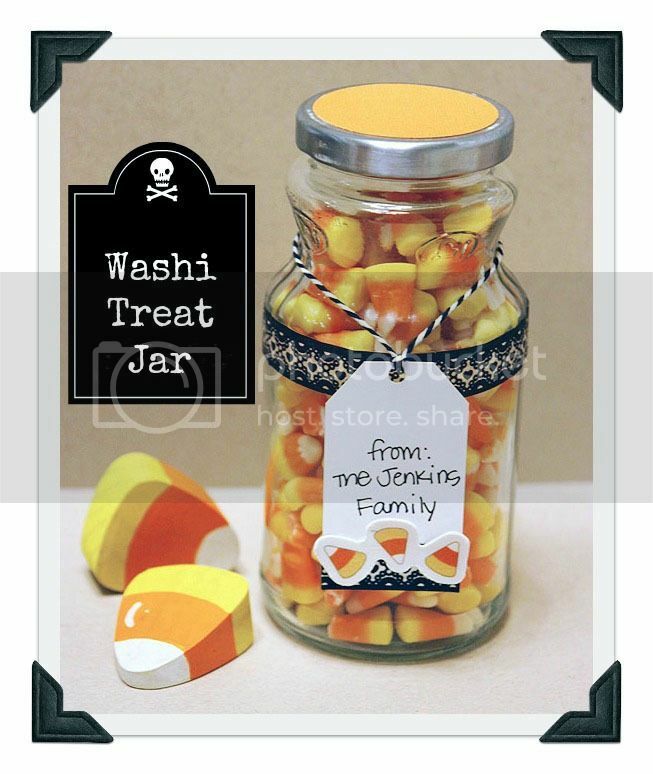 I filled the glass (La Victoria Salsa) jar with candy corn and added a fun tag and washi tape. So quick and easy to make. Start saving your glass jars, wouldn't this look cute at Christmas with red and green m&m's! Thanks for stopping by, have an awesome day!! 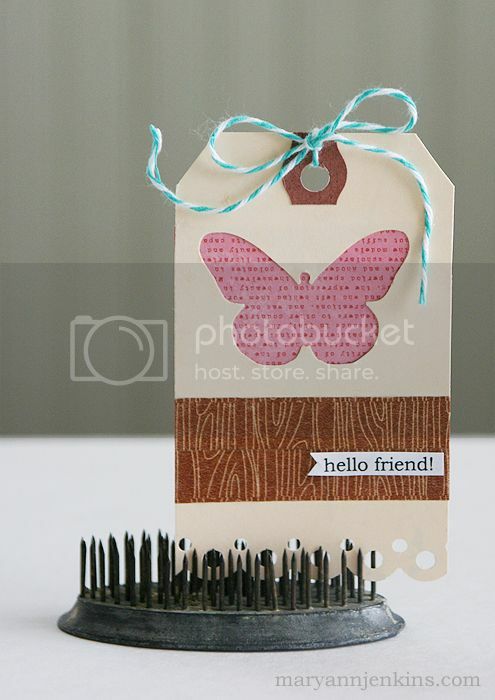 Here's a quick and easy tag that I'll be adding to a mini album I made for a friend. Have a great weekend, thanks for stopping by! 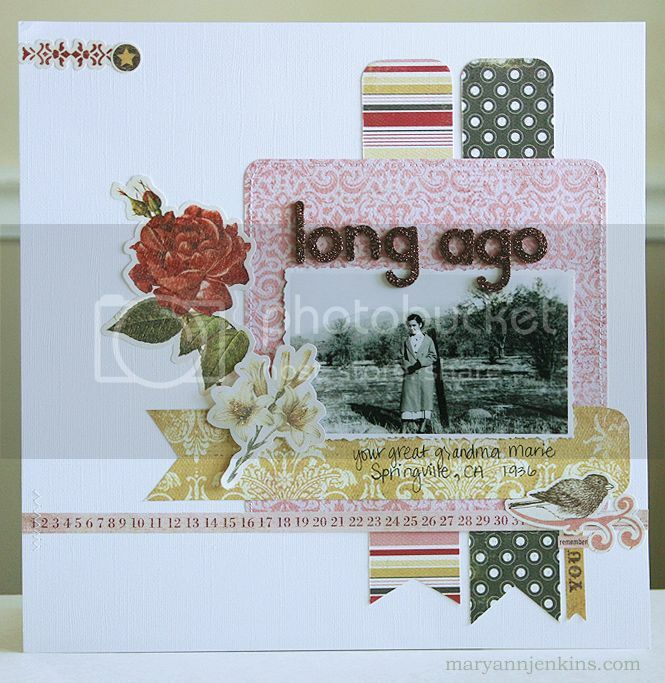 Here's a layout made with the new October add-on kit from the Paper Bakery. And yes that's my pet chicken I had when I was 10. I know for a lot of people a pet chicken is no big deal, but when you live in Southern California, in the city, it's a big deal. I used to walk her on a leash, and yes I would get strange looks from cars passing by, but she was my Pebbles and we had a great time together. 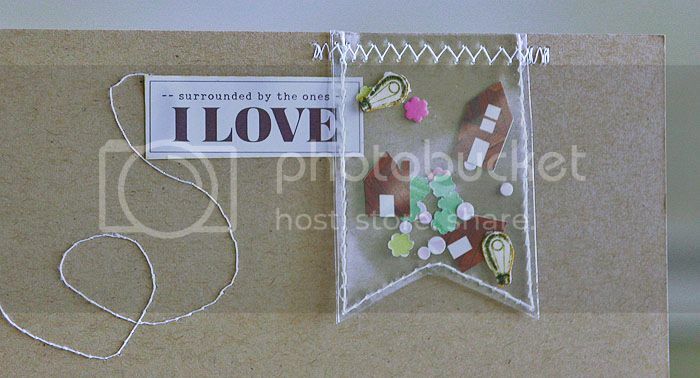 Here I used one of the key stickers with some confetti in a little glassine bag. So cute! Have a super day, and as always, thanks for stopping by!! You find out that you've won. You can't wait for your happy mail to arrive. You open the box, and are instantly in love! You realize it's one of everything in the whole collection. You are so very grateful. This is one of the few old family photos that had no information besides date and place written on it. I am so very lucky that my hubby's grandma was good about writing stories on the backs of the photos. Although I never got to meet Grandma Marie, it's almost like she knew that one day I would want to know the stories of their life in Central California to hand down to the next generation. I hope you have a wonderful day, and as always, thanks so much for stopping by! 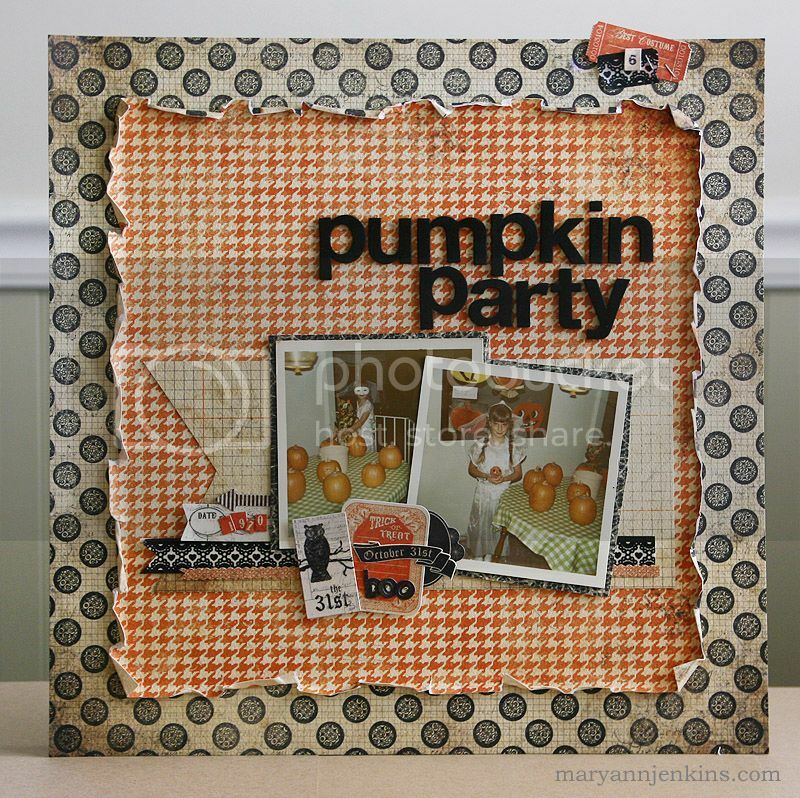 I have a new layout to share using the October kit from the Paper Bakery!! 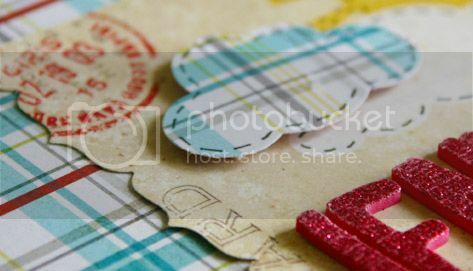 I love the colors in this months kit, and especially love all the just released Dear Lizzy 5th & Frolic papers and embellishments!! I did a little fussy cutting with my craft knife to cut out the word THIS, and backed it with the grey & white Jillibean Soup paper. I really like the look of the negative cut out! 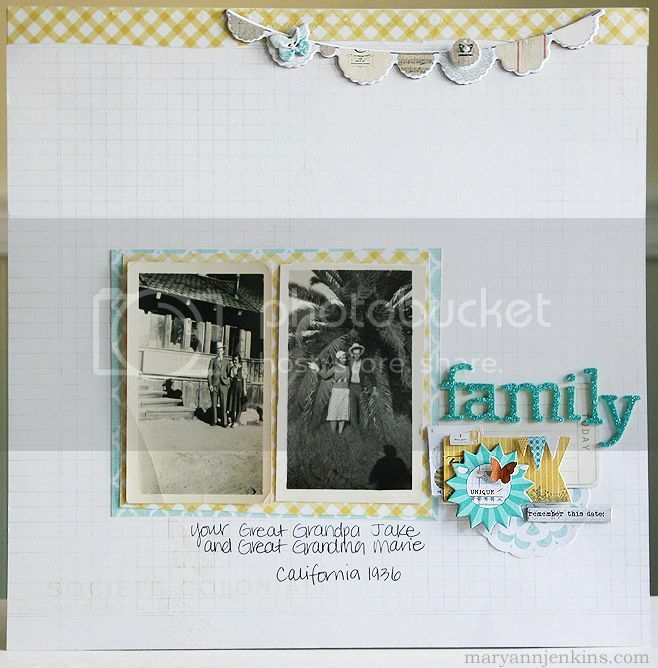 I'm working on another layout with this kit and an off the page project too, I can't wait to share them with you! 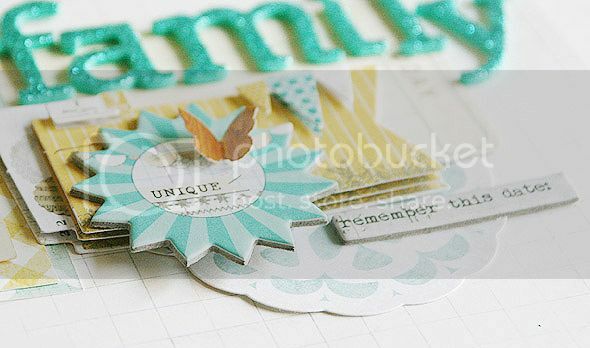 I don't think I've ever been drawn to a certain color when I scrapbook. Well, maybe when Gracie was born after having 3 boys, I know I used quite a bit of pink paper ;) But I wouldn't say I've ever had a favorite color to scrap with. How about you, do you have a favorite color that you use on your layouts?? Have an amazing day, and as always, thanks for stopping by! Can you believe I have more cards to share?? 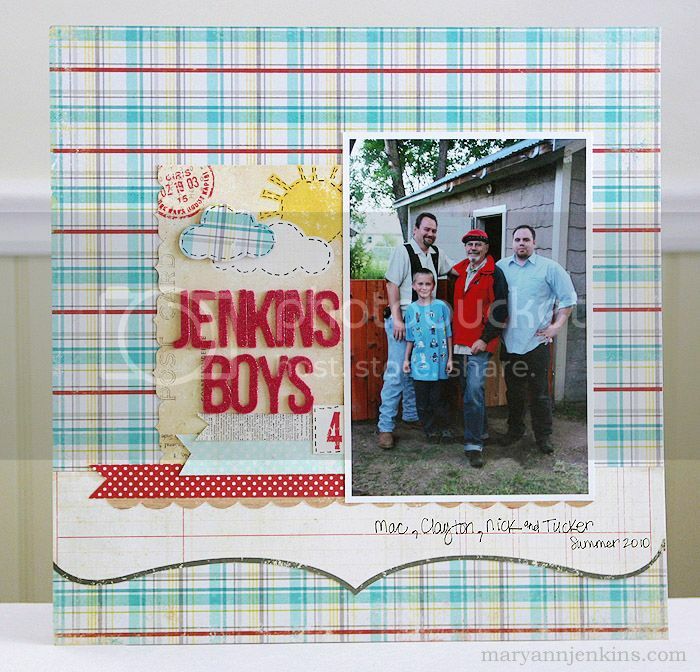 I think I've made more cards in the past week than I have in all the years I've been scrapbooking!! These are up on the Imaginisce blog today. Don't worry, I haven't given up on layouts ;) I'll be back with a new one tomorrow! Hi Friends! Here's a layout a made a few weeks back, but somehow never shared it here. 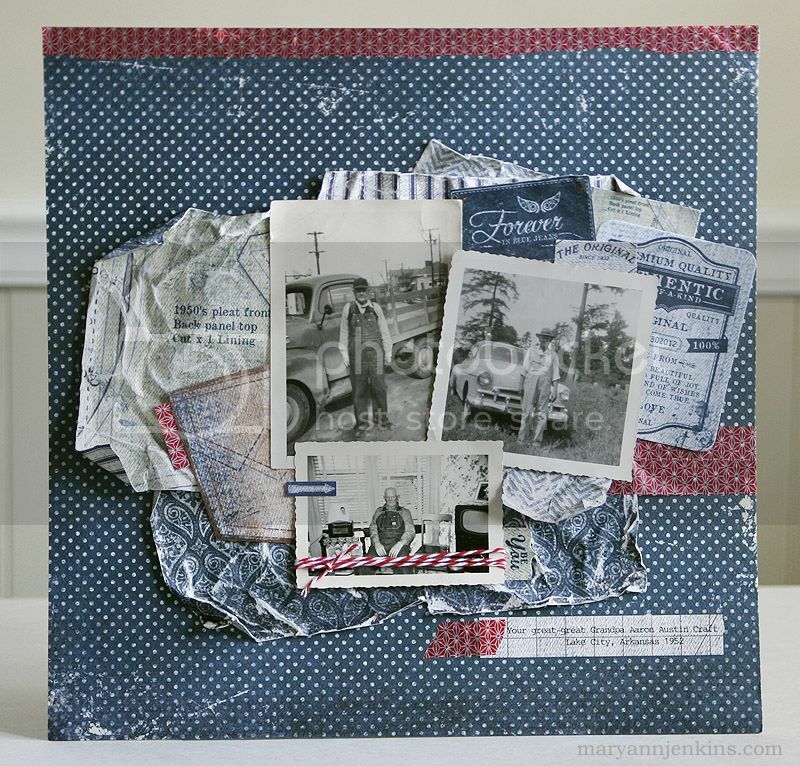 I used a Paper Bakery kit for this one, along with photos of Tucker and his Great Great Grandpa's old ford truck. 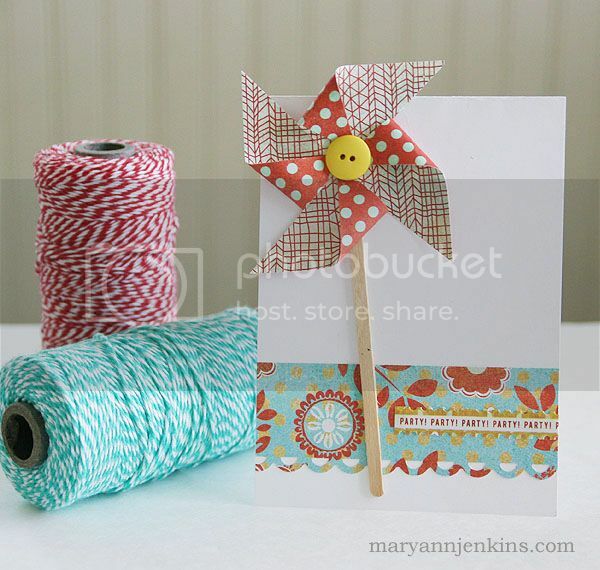 I love the turquoise and red color combo together! I made the banner pieces with washi tape!! Enjoy your day, and as always, thanks for stopping by my little corner on the world wide web. 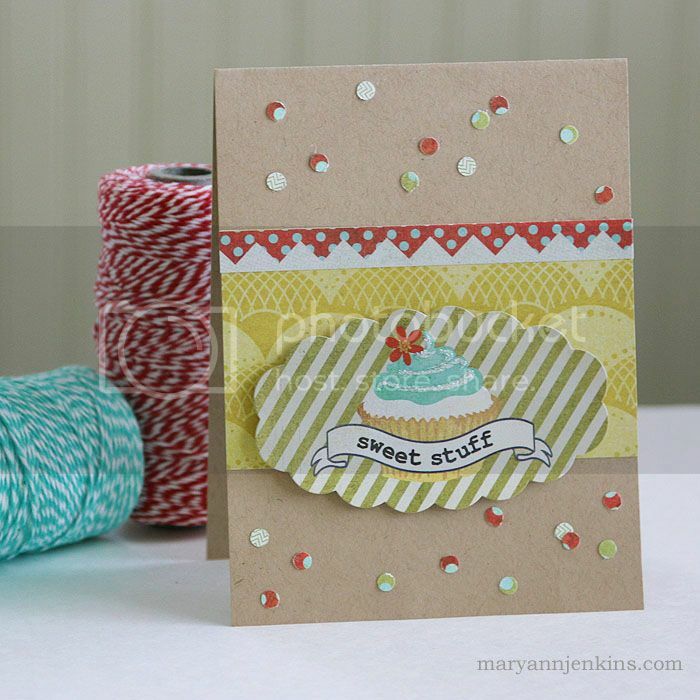 Hello friends, it's World Card Making Day, and I have two cards to share, both made from scraps! I'm finally starting to make a dent in the stack of old family photos, and our family history album is growing! 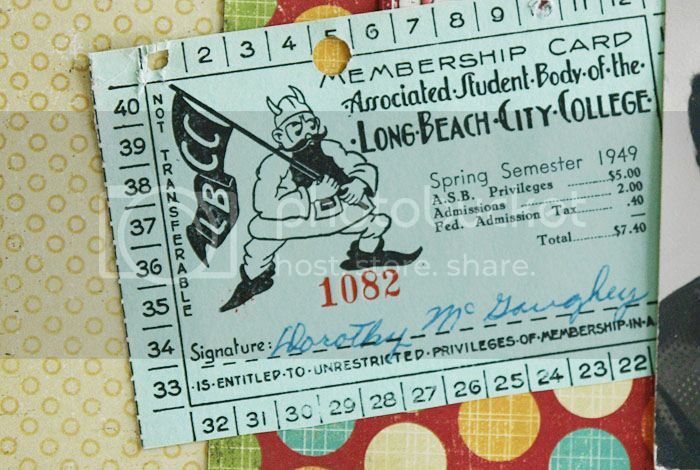 I kept this one fairly simple, and included my mom's college ASB card from 1949.